Yoan Moncada struggled in 2018 on the whole, but there's room for hope thanks to his hot start and strong finish to the season. The 2018 season was a challenging one for White Sox second baseman Yoan Moncada. The former top prospect in the organization and once one of the top prospects in all of baseball's first full season in the Majors had people hopeful that he could begin realizing his enormous potential. Instead, Moncada finished his season with a slash line that was actually worse than the one he put up in his rookie season. Moncada hit .235, had an OBP of .315 and slugged .400 in 2018, struggling from the right side of the plate against left-handed pitching in particular. However, the White Sox remain committed to him being a big part of their plan for the future. And if you look hard enough at the splits, you can find reasons for encouragement hidden in an overall tough season. Moncada played well during stretches, and it just so happens that two of those spurts came at the beginning and end of the season. Moncada flashed power and speed early in the season and then got back to basics by focusing on contact and getting on base late. He slashed .267/.353/.524 with six homers in March and April and then hit .301 during the month of September. He finished his season with 55 extra-base hits on the season. The bat speed and the penchant for drawing walks were on display throughout the 2018 season. Ultimately, problem was consistency and a strikeout rate that rose when many anticipated it'd move in the other direction. Moncada's numbers don't indicate that there isn't going to be much extra productivity available if nothing changes in his game. His BABIP (.342) was on par with what you'd expect for someone with his batted ball profile and speed. He may have even gotten a little lucky given the number. So if his game is going to improve it's going to come down to making adjustments in his approach. April and September show that to be possible and that success can come in more than one way. Moncada needs to be malleable if the White Sox are going to experience the sort of success that they're aiming for. Because he might need to hit leadoff at times, drop further down in the order to take advantage of his natural power and even may wind up switching positions at some point or another. 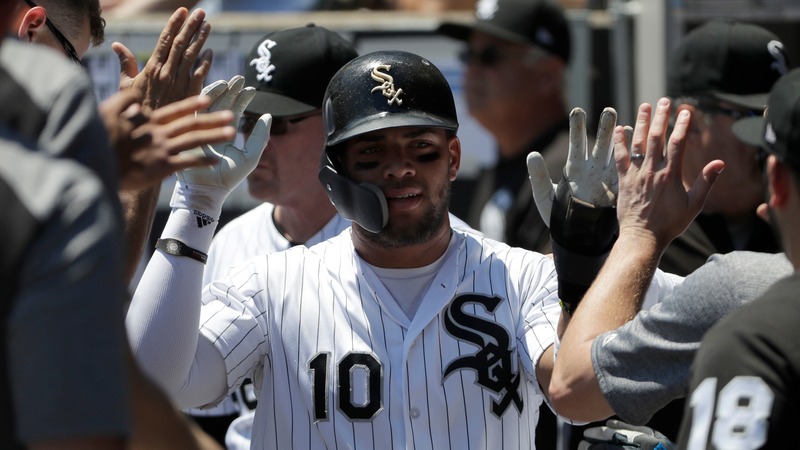 There's going to be more adversity and next year is likely to be the season that defines whether or not Moncada remains a part of the organization's long-term plans. At some point, they'll need to see the guy they saw early and late in the season more frequently than the guy they saw from May-August.